I previously built the TNT, I have now built the Tuffy model. 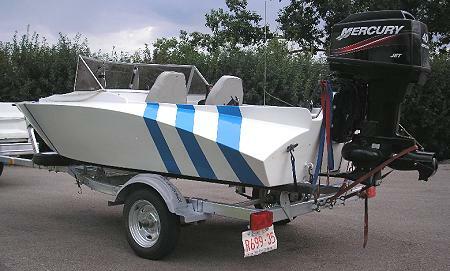 I built it spacifically to use in rivers as a jet boat and modified the original design. The transom motor mounting hight was raised 7 inches. The transom angle was changed to 18 degrees. 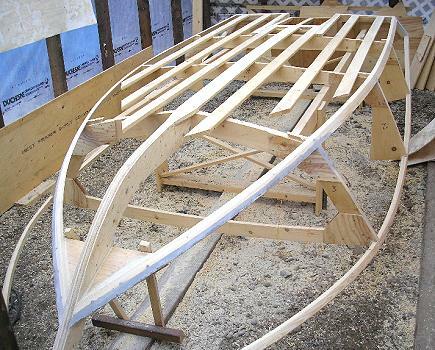 The boat bottom now has a tunnel extending 2 feet forward , 2 inches tapered from transom,16 inches in wide. These changes were made to accommodate a jet 40 Merc outboard, the tunnel allows the jet intake to not be below the bottom of the boat. 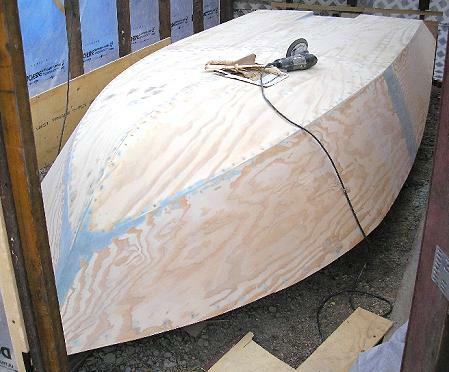 The boat is epoxy encapsulated on the inside and fiberglased on the outside. Wow what a machine, its on plane instantly even with passengers, only needs 3 inches of water depth. Once on plane I need only half thottle. It literally will go anywhere and is the funest thing I have ever driven. How long did it take to build? 3 months. How much did it cost? 9000 for motor ( new ), 400 for steering, 3000 for boat ,1200 for traler. Prices in Canadian dollars.